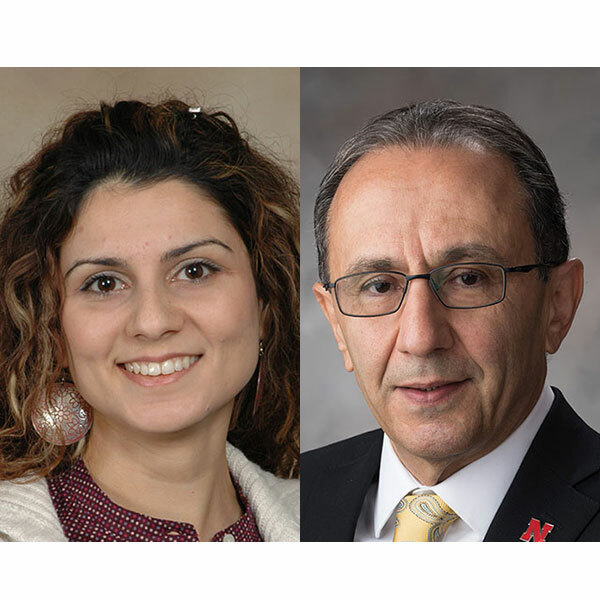 Ece Erdogmus, professor of architectural engineering and associate director of architectural engineering in The Durham School of Architectural Engineering and Construction; and Hossein Noureddini, professor and chair of chemical and biomolecular engineering. Two College of Engineering faculty are among 10 from the University of Nebraska-Lincoln chosen by the Executive Vice Chancellor’s Office to attend Big Ten Academic Alliance leadership programs this year. Ece Erdogmus, professor of architectural engineering and associate director of architectural engineering in The Durham School of Architectural Engineering and Construction, is among the five chosen as fellows in the Academic Leadership Program. These fellows will attend a series of three conferences throughout the academic year learning about leadership on a broad range of topics, including community engagement, diversity and inclusion, freedom of expression, challenging conversations, mental health, student success, and the social value of higher education. Hossein Noureddini, professor and chair of chemical and biomolecular engineering, was chosen a fellow in the Department Executive Officers Program. Fellows will attend a three-day conference learning about leadership at a departmental level, including unique perspectives and challenges regarding faculty development, performance, communication, conflict resolution, time management, and mentoring.